Octavia Elizabeth Zamagias is a fine jewelry designer who currently resides in Los Angeles with her dog, Edie Rose. 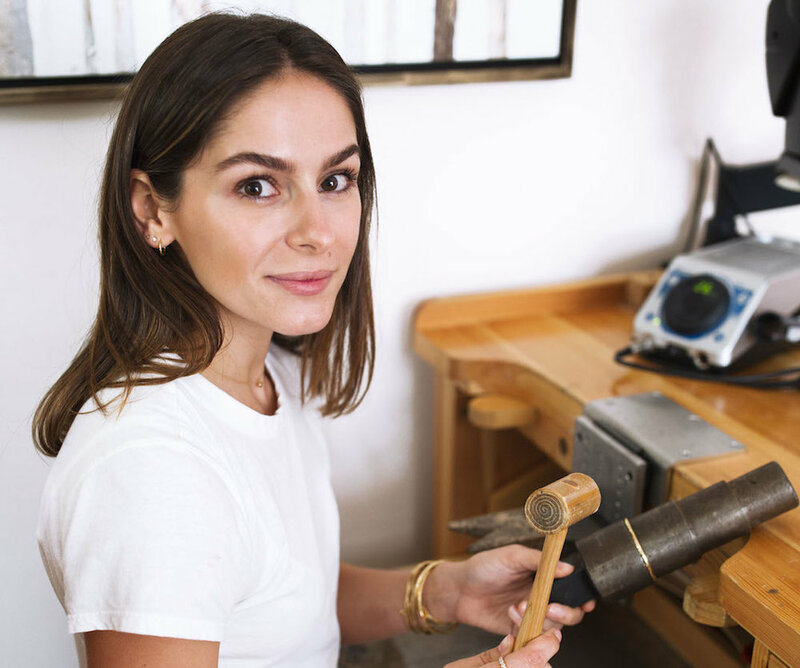 After studying gold-smithing at the London School of Jewelry, her passion turned to creation and the Pennsylvania native earned a graduate bench jeweler’s degree from The New Approach School. Using luxurious precious stones and the technique of hammering gold, each piece has a unique juxtaposition resulting in an elegant, yet rugged collection of fine jewelry that is to be worn as a daily indulgence. Octavia Elizabeth's eponymous collection aims to defy the dainty and dinky with durable designs that withstand the test of time. "Jewelry making is an ancient tradition that to this day creates opportunities and encourages craftspeople from around the world. today, the gem and metal businesses are starting to reverse the exploitation often associated within the industry and I want to be a part of that movement." Sign up to receive updates on our sustainably made jewelry and 10% off your first order. Thank you! We will be in your inbox soon! © 2016 Octavia Elizabeth, LLC. All Rights Reserved. Octavia Elizabeth ® and stylised O design are registered trademarks.